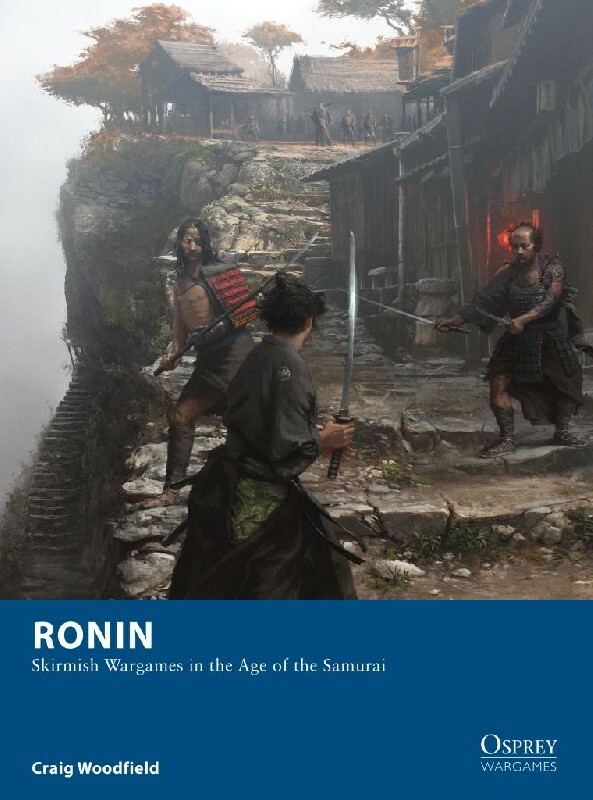 Ronin is a skirmish wargame set in late 16th century feudal Japan, and provides a historically accurate game with the flavour and excitement of such Akira Kurosawa films as Seven Samurai and Yojimbo. Players choose a force from one of several varied factions, each with unique character options, from reliable samurai and ashigaru to fearless sohei warrior monks and desperate bandits. They may also recruit swords-for-hire to supplement their forces – masterless ronin, wandering martial arts masters and secretive ninja will lend their skills to any commander who can afford them. A full points system, incorporating a wide range of equipment and skills allows players to develop unique, but balanced, characters. The fast-paced D6-based system reflects the cut and thrust of hand-to-hand combat and requires the player to make tactical decisions in the middle of a fight. A campaign system allows for the development of characters over time, and sample scenarios give options for more varied games beyond straight-up battles.